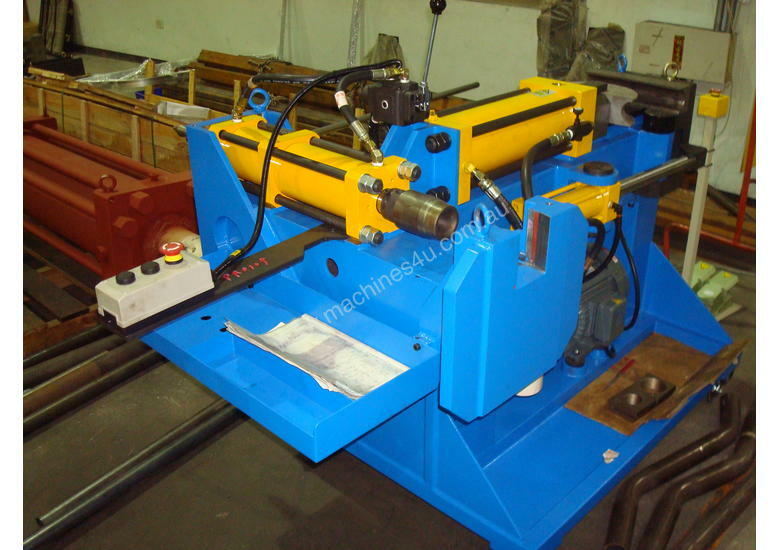 The model PB75 bending machine is designed as a multi-purpose unit for use in light engineering, fabrication and muffler shops. 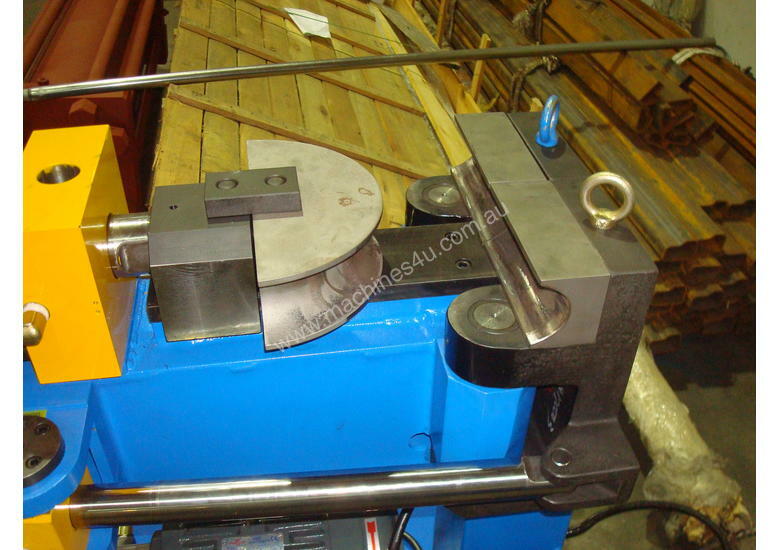 It will bend a wide variety of commonly used hollow and solid sections as well as tube and pipe in mild steel, stainless, aluminium and other non-ferrous materials. Typical applications, in addition to exhaust work, include furniture, truck gates, re-enforcing bars, electrical and plumbing work and bull bars. 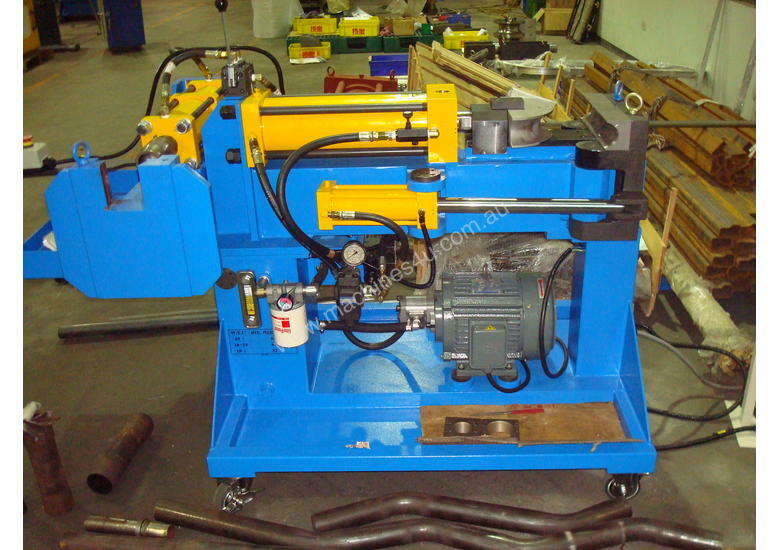 It is also capable of bending specialised shapes and sizes where custom tooling has been made. 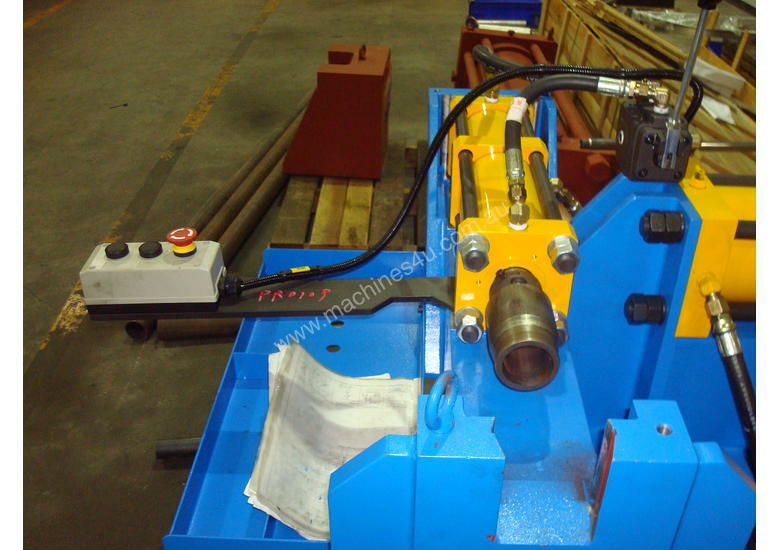 The machine comes in basic configuration as a tube and pipe bender with a swager (reducer/expander) attachment for expanding, flaring and reducing tube as is done in muffler shops.